AMC to the rescue…love this roaster! 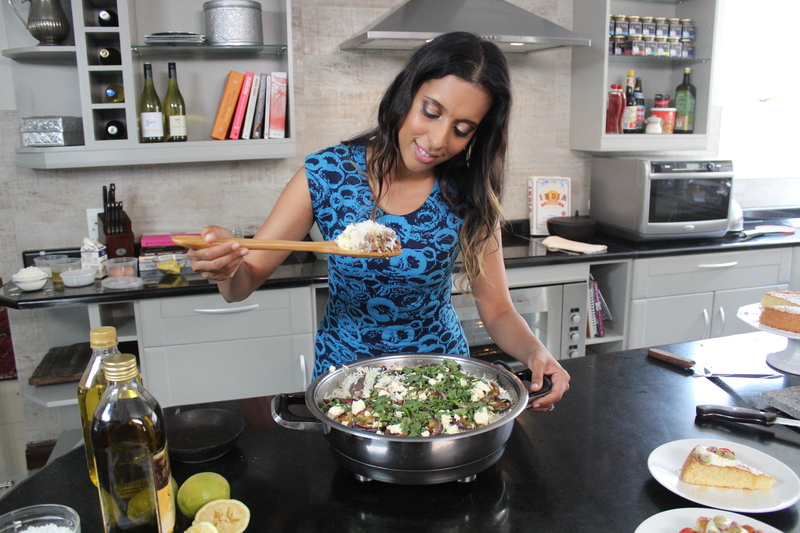 Lamb, brinjals and feta with garlic and fresh mint….these are essentials for a greek inspired pilau. A word on pilau…always used cold rice to prevent your one pot wonder turning to mush! You can also use fresh herbs like thyme, oregano and parsley (I have a soft spot for coriander). I enjoy making pilaus in an AMC roaster but any large 30cm AMC pan will do! Wardrobe by Jo Borkett and Lamb Pilau by me! Heat the oil in an AMC roaster. Fry cinnamon sticks and bay leaves and fry until fragrant. Add cumin seeds and onions. When onions are golden brown, add the garlic and fry for a few seconds. Add the lamb mince and saute until it starts to brown. Add the powdered spices and fry for a minute. Layer the basmati rice over the mince. 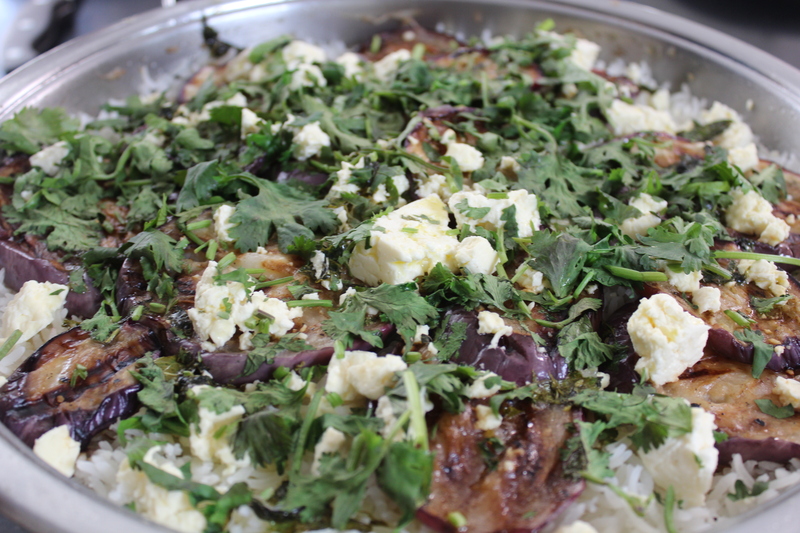 Place the brinjals over the rice and add the pieces of feta. Pour 125ml boiling water over the rice and steam on the lowest setting until the rice grains have heated through. Drizzle the dressing over the pilau and garnish with fresh coriander. ● This dish can be made with chicken mince. 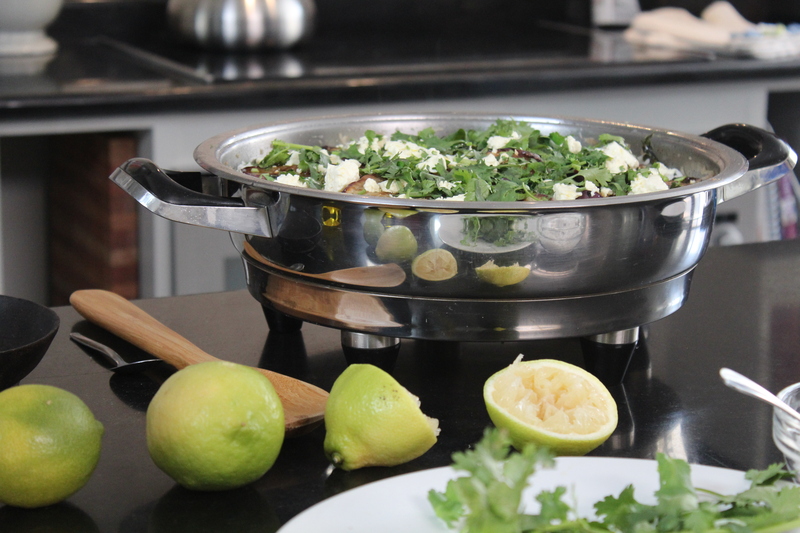 ● Add fresh green chilli for a spicier dish – I always add green chilli – its adds a fresh green flavour to the mince!